Over the years the seesaw of nutrition trends appears to have only done one thing; confused people. How Many Ways Are *YOU* Gonna Do Pumpkin This Fall? 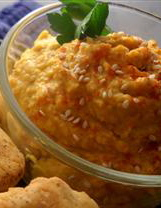 Here’s a savory pumpkin recipe from allrecipes.com that makes a healthy snack to share with friends. So What IS the Best Diet for Fat Loss? Should you eat Paleo? The Zone diet? Atkins? Intermittent fasting?